Growing up in Australia, I’ve always dreamt of experiencing a white Christmas; the snow, the Christmas markets and the all-round festive vibes… But never did I think that maybe there are people that want to experience what I am lucky enough to have had every year – a summer Christmas! Although I can imagine that these two are very very different from one another, I think there’s something extremely special about them both. For those that are surrounded by the cold weather at Christmas, maybe this list will inspire you to travel somewhere warm for the next festive season. Christmas in Australia is something everyone should experience in their lifetime. Compared to your typical snowy winter wonderland (which I’ve never before experienced and am absolutely dying too), here in Australia we soak up the summer sun. Many Australian families start Christmas day in the sunshine; enjoying family time and a low-key breakfast, a barbeque lunch instead of a huge roast before heading to the beach or pool for the rest of the daylight hours. Although Christmas here may not be the most festive, it’s still is an incredible experience – For us, it’s more about hanging out with family than anything else! 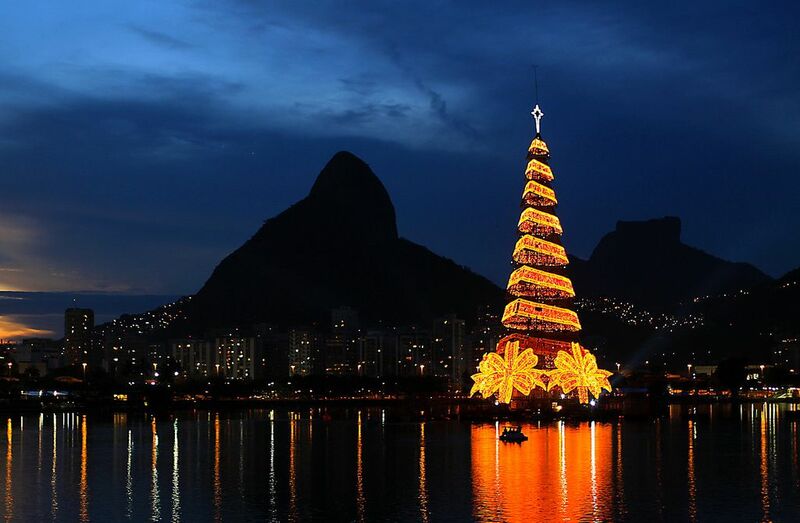 On the 1st of December every single year, the world’s largest floating Christmas tree comes to life in Rio De Janeiro. Reaching a mammoth height of 85 metres and filled with over a million LED lights, this is a definite reason to head to this city during the Christmas holidays. But regardless of the time of year, Brazil is a place full of so much life; so aside from the festivities, it’s one of the best places to enjoy some sunshine (and party if that’s what you’re into)! For those thinking of heading to Brazil’s bustling capital, here are a few reasons that you need to visit Rio – I can assure you won’t be disappointed! Recommended Place: Rio De Janeiro. Christmas in South Africa is the time when everything is the most alive; flowers are blooming, people and smiling and carol singers are out in force. On the big day, lunch is often a traditional roast enjoyed outside in the summer sun, topped off with a traditional South African desert, Malva! It’s not the most Christmas-sy destination, but it sure is vibrant with diversity, beautiful views and summer beach vibes! Recommended Place: Cape Town, Johannesburg. Imagine waking up on Christmas morning and heading down to a beautiful picturesque beach before eating lunch at an under ocean restaurant… Christmas in the Maldives is the perfect alternative for someone wanting to escape the festive madness! It’s also an incredible time to visit this beautiful part of the world, as in late December the rainy season begins to die off and the balmy weather forcefully kicks in! Recommended Place: Conrad Rangali Island. With so much culture and Christmas traditions, Mexico is one of those summer Christmas destinations that will stay with you forever. Posadas, Pastorelas, Nochebuena and Villancicos are just a few of the traditions that are celebrated on the lead up to Christmas. It is a very religious, special time of year for the people of Mexico – However, for those that may not be religious, you can always just relax on the beach instead! A very unusual Christmas alternative no doubt, but you may be surprised to know that the Philippines is one of the most festive places in the world! Here, the locals like to celebrate the happiest time of year for as long as truly possible; Christmas carols are said to often start as early as September! Who doesn’t want to celebrate Christmas for months on end, right? So if you’re looking for a sunny Christmas destination to bring you some festive cheer, I think the Philippines is the place for you! Recommended Place – Manila, Boracay, Bantayan. One of my favourite places in the world! 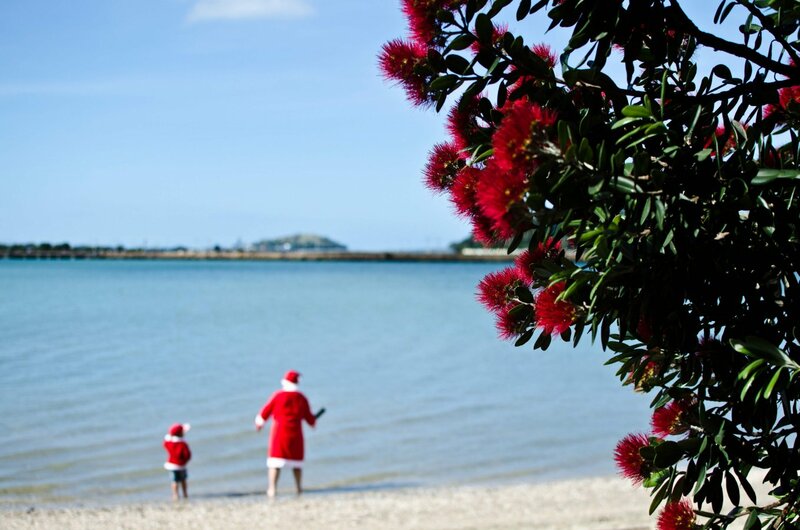 New Zealand is one of those destinations that everyone can fall in love with; the people are kind, the scenery is beautiful and best of all… Christmas falls during the warmest time of year! Much like Australia, the people of NZ often celebrate their summer Christmas by hanging out with family and enjoying a barbeque lunch. In this country, no one is ever more than a few km’s from the ocean, hence why a lot of locals will also head down to the beach for a dip! Recommended Place – Queenstown, Auckland. 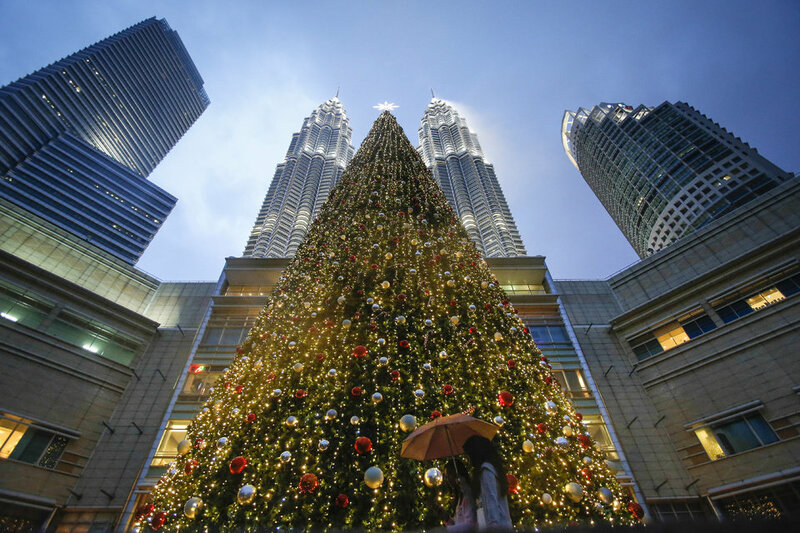 Unlike many places around the world, Christmas in Malaysia is actually celebrated on the 24th of December (Christmas Eve). During the lead up to this date, most shopping malls and public areas are decorated head to toe in festive decorations and surrounded by carol singers. On the 25th of December, most Malaysians start back at their businesses, but don’t fret! 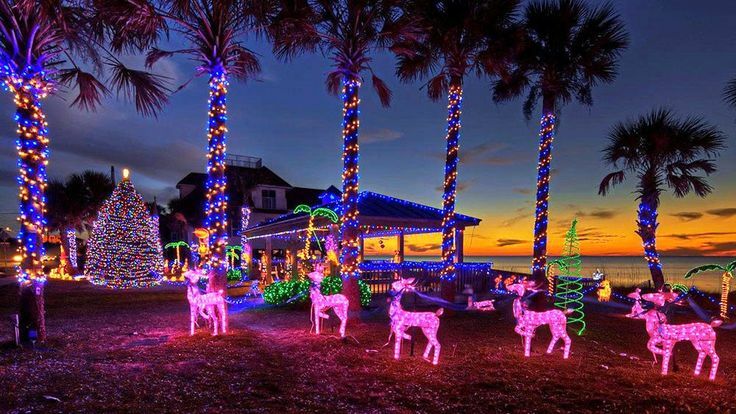 There are still many options to enjoy a Christmas feast for tourists around the country too. Malaysia may not be a typical place to go to for the festive time of year, but the warm weather and interesting celebrations do create a joyful way to end the year on a high! Recommended Place – Kuala Lumpur, Penang, Kota Kinabalu. In Colombia, the celebration of Christmas begins on December 7th – the ‘Day of the little Candles’. On this day, houses, buildings and streets are decorated with lights, candles and lanterns in preparation for Christmas Day. For the 9 days before Christmas, many Colombian’s also participate in Novena. Alongside the warm, balmy temperatures, Colombia is a Christmas destination full of so much culture and vibrancy! Recommended Place – Medellin, Cartagena. 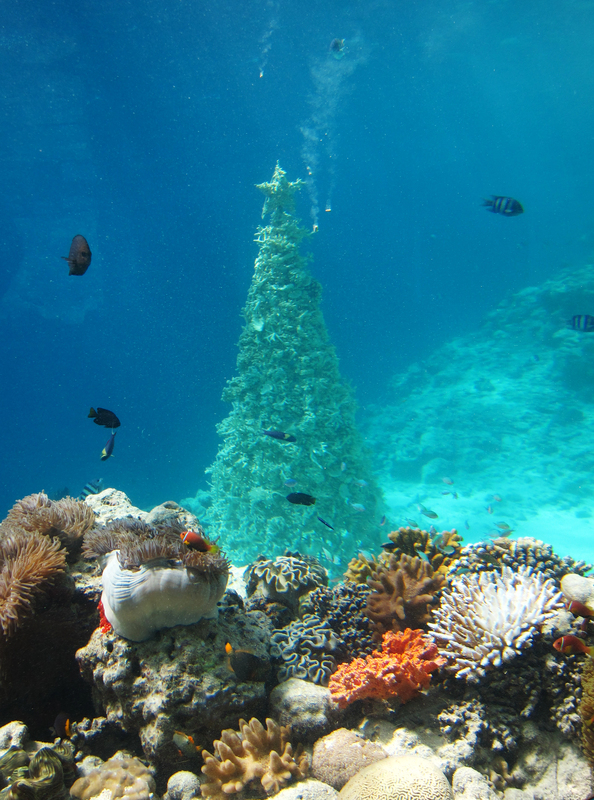 If you’re dreaming of a tropical summer Christmas, look no more! Hawaii is the place where you can watch the sunset from a beachfront restaurant whilst indulging in copious amounts of food. Lay on the beach, go surfing, play some golf or simply enjoy the hula dancers and the happy atmosphere from the locals. 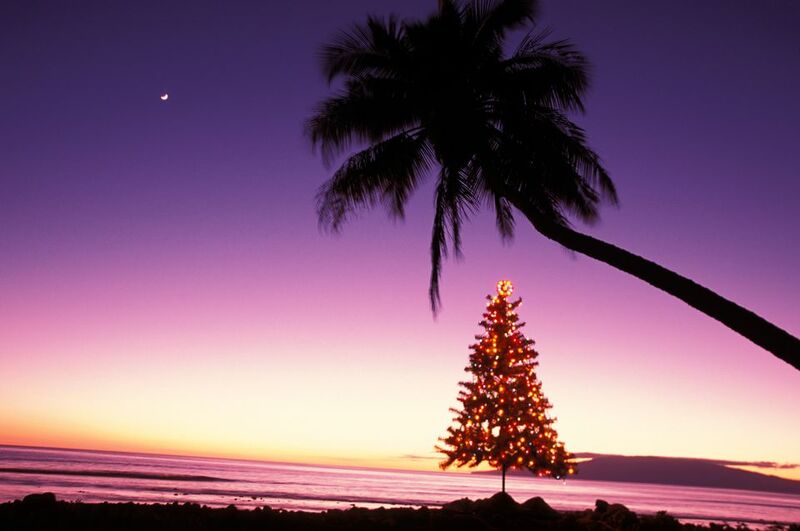 Christmas in Hawaii is relaxation at its finest! Recommended Place – Honolulu, Lihue. Where is your favourite sunny Christmas destination? Let me know in the comments below! These places are absolutely best and I am planning now a day tour to the best place and this post will surely help me a lot in selecting the best tourist place. Wow! Great post! In this article you have shared some great places to spend summer Christmas with kids which is very important post for me. Because I will go out for celebrating the next summer Christmas with my kids. So, thanks for sharing this helpful post. Wow! Very informative post. I was searching such types of post because I was searching some important places to celebrate the next summer Christmas with my kids. So, thanks for sharing such important information with us! I love Maldives, the best place, SUN, SAND, and SEA. Thanks for giving such a wonderful information. It is very helpful. The Maldives sure is incredible! Thanks so much for your support Brian – I’m glad you enjoyed it!